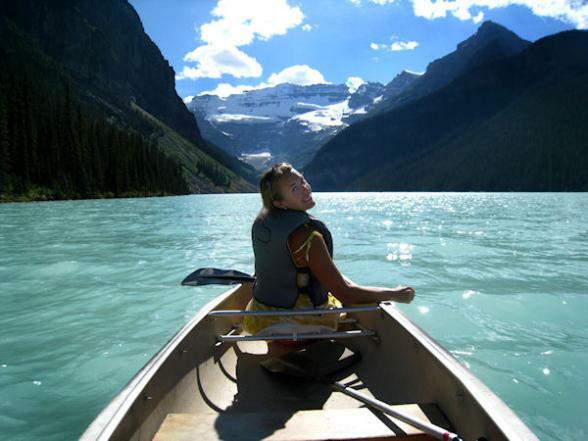 Western Canada is simply one of the best places in North America to explore the great outdoors and nature's wonders. 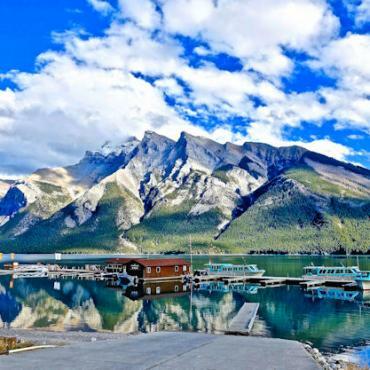 Tour through the very heart of the Canadian Rockies and view the splendour of soaring snow-capped mountains, crystal clear lakes and breathtaking scenery around every bend, all from the comfort of your motorhome. 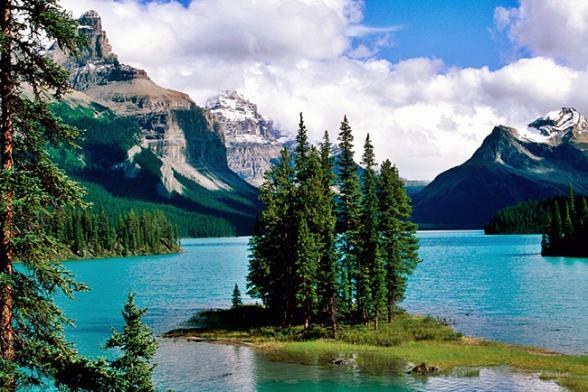 On this relaxed 15-night pre-planned motorhome holiday, you'll travel with the knowledge that some of the most sought-after sites in Western Canada have been selected and booked for you. The relatively short driving distances also ensure that you'll spend the maximum amount of time enjoying the amazing scenery in this part of Canada. This motorhome tour can depart from Vancouver or Calgary and can be tailor made to your exact requirements. Early booking offers for 2019 – Please call for further details on 0800 316 3012. 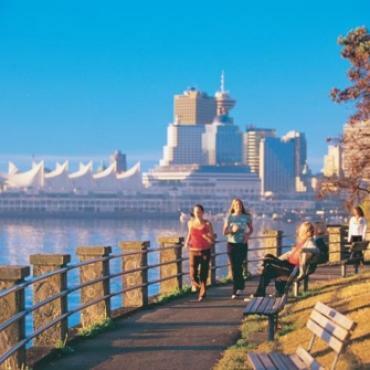 British Columbia’s largest city is a vibrant, multi-cultural urban centre famed for its stunning ocean and mountain setting, mild climate and relaxed, outdoorsy lifestyle. This cosmopolitan city is consistently ranked among the best places in the world to visit, thanks to its culture, shopping, dining and friendly west coast vibe. 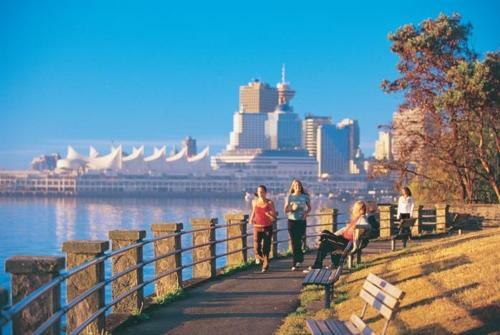 Vancouver must-sees include beaches; the gardens and forests of Stanley Park; the lively waterfront galleries and artists’ studios of Granville Island; and the historic districts of Gastown, Chinatown and Yaletown. Many of these attractions will be included in your half-day sightseeing tour. You'll be collected from your hotel and transferred to the motorhome depot this morning for a full familiarisation of your vehicle before you hit the road. With its soaring cliffs and endless stunning vistas, the impressive Sea-to-Sky Highway snakes its way through Squamish before climbing into the pretty mountain town of Whistler. It's a joy to drive, keep an eye out for Bald Eagles as you pass Brackendale. Stop to stretch the legs with a short hike to Shannon Falls, the third highest waterfall in Canada. 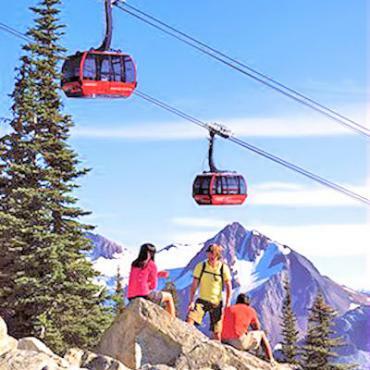 Be sure to take the Sea to Sky Gondola, 885 meters above the ocean, for views of Stawamus Chief Provisional Park and the volcanic Atwell Peak of Mount Garibaldi. Or jump in a canoe or kayak and explore Whistler's River of Golden Dreams - a paddler's paradise with epic views around every bend in the river. The drive between Whistler and Clearwater showcases some of British Columbia’s historic and natural wonders. Head east along tree-lined Highway 99, through the old logging town of Pemberton before reaching Mount Currie Indian Reserve, home to the Stl’atl’lmx Nation People. Follow this pass through Lillooet, the start of the old Gold Rush Highway. 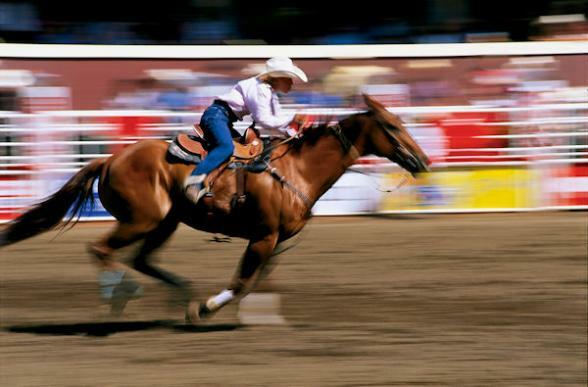 Located in the Thompson Okanagan region and surrounded by more than 100 lakes is Kamloops. It’s a great place to stock up on supplies and cool down by one of the lakes before heading for your next stop. Clearwater, is the gateway to Wells Gray Provincial Park and is surrounded by the Trophy Mountains, Raft Peak, Grizzly Peak and Dunn Peak. It's your two-night base to explore the park, a hiker’s paradise with a wide array of trails suitable for differing hiking levels. 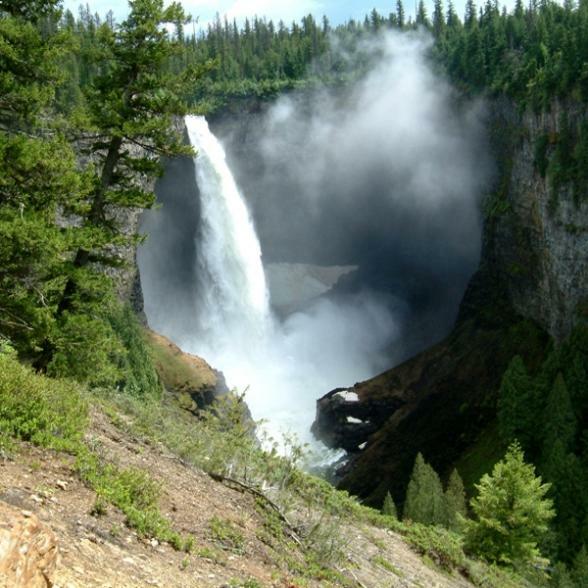 Stop for for a picnic at Helmcken Falls, the fourth-highest in Canada, or take a tranquil float trip along the Fraser River for sensational views in peaceful surroundings. Your journey between Clearwater and Jasper is one of vast wilderness, small mountain communities and extremes. Pass through Blue River, a friendly town with under 300 residents, surrounded by both the Monashee and Cariboo Mountain ranges. As the border into Alberta gets closer make a stop at Valemount and visit Swift Creek, home to the world’s longest salmon migrations. Shortly, majestic snow-capped Mount Robson, the highest point of the Canadian Rockies, looms into view as you cross the continental divide between British Columbia and Alberta and cruise into Jasper National Park via the scenic Yellowhead Pass. Picture yourself in a mountain getaway surrounded by soaring peaks, ancient glaciers and miles and miles of untouched wilderness. Welcome to Jasper National Park, your home for the next three nights. Boasting nearly 600 miles of trails, endless wildlife and jaw-dropping scenery. 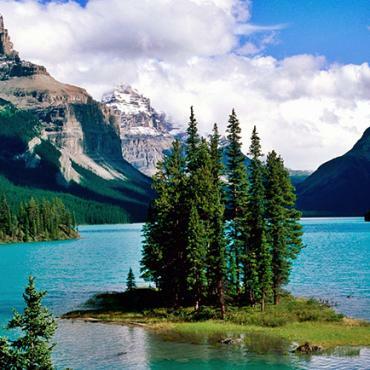 There's a wealth of activity to enjoy too from soothing soaks in Miette Hot Springs to a cruise around Spirit Island on beautiful Maligne Lake, one of the most photographed spots on earth. Ranked as one of the top scenic drives in the world by National Geographic, the spectacular Icefields Parkway connects Jasper town with awe-inspiring Lake Louise. This stretch of road is punctuated by more than 100 glaciers, cascading waterfalls and emerald lakes nestled in vast lush valleys. An absolute must-do along this highway is a trip on an Ice Explorer Buggy onto the Athabasca Glacier, where you'll encounter ice as thick as the Eiffel Tower is tall! Be sure to stop too at Peyto Lake, the highest point on the parkway. Lake Louise is your home for the next two nights. 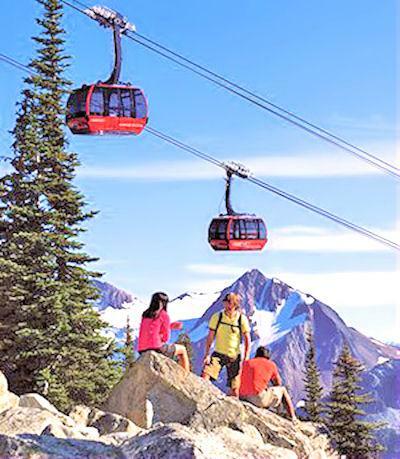 Hop on the Lake Louise Gondola and experience some unspoiled views over Banff National Park and the lake AND grizzly bear sightings from here are almost a daily event. 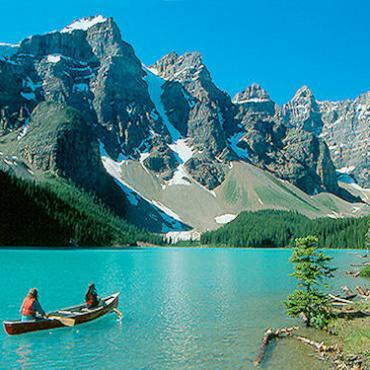 It's a short, scenic drive today to Banff National Park, a UNESCO World Heritage Site and Canada's first national park. Here you can explore over six thousand square kilometres of unparalleled mountain scenery set in the very heart of the Canadian Rockies. You've three full days to discover the wonders of this region. 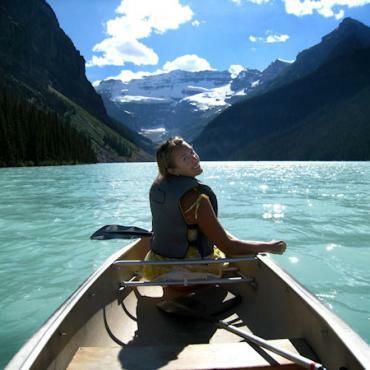 Choose to relax and enjoy the surroundings of your campsite, visit stunning Lake Moraine or Lake Minnewanka or enjoy the unsurpassed views over Banff and the Bow Valley from the glass enclosed, Banff Gondola. A visit to Canada's Castle in the Rockies, the legendary Fairmont Banff Springs Hotel, for afternoon tea with a view is a delightful way to spend a couple of civilised hours! 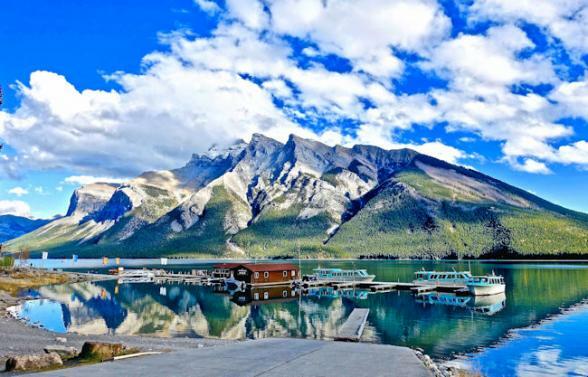 It's the final leg of your motorhome adventure today as you travel through the rugged terrain of Kananaskis County to Calgary, an historic western town surrounded by majestic mountains. 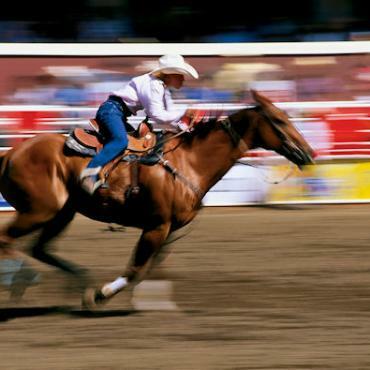 You'll return your motorhome mid-morning and then transfer to your hotel for a final night in Calgary. 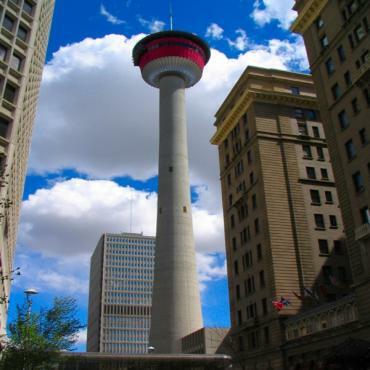 Spend the afternoon strolling around the western boutiques or enjoying the views from the Calgary Tower Observation Deck. Or delve into the Heritage Park Historical Village and step back in time. This 127-acre settlement will captivate you with Western Canada's historic challenges, triumphs and personal stories through the ages. Depart Calgary on an early afternoon flight back to the UK. However, this does not have to be the end your adventure. Perhaps you may want to extend your stay and include some time in the Okanagan wine region or maybe head over to Vancouver Island. 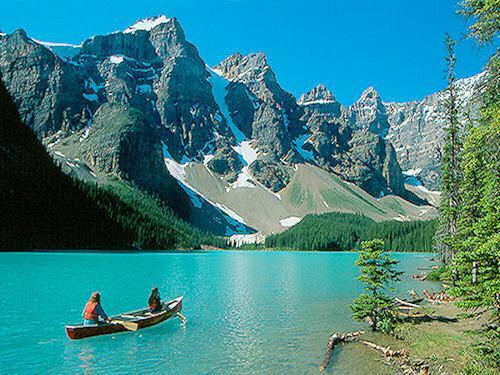 Call the Canada travel specialists at Bon Voyage to discuss your ideal Pre-Planned Motorhome Tour - Canadian Rockies Explorer adventure.